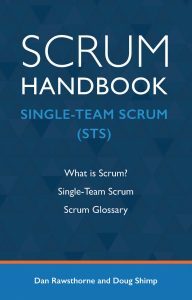 The Scrum Handbooks: Single- and Multi-Team Scrum are Now Available! Scrum is Scrum and it’s a beautiful thing. We both fell in love with Scrum in the late 1990’s. We realized that scrum, as it was first developed, was clean, elegant, Agile and echoed all the good Teams we’d seen in our lives. Since those early days, we have seen, and helped, many teams implement Scrum, and even wrote Scrum Handbooks! We have seen that Scrum can be successfully implemented by a Team Swarm if it has the freedom and authority to do so. Of course each implementation is different in the details, as it adapts to its own environment and situation – but the core of scrum will be there, and the Team will succeed. Over the years, enlightened Organizations saw how powerful good Teams, led by a single Product Owner, can be. The problem is, these Organizations wanted to know how to make Scrum work for them – they want to know how to build their own Scrum Teams – they wanted definitions, recipes, or instructions. That’s why we invented the Scrum Model of Single-Team and Multi-Team Scrum (STS + MTS) – to show how a single Team can produce Results for the Stakeholders by implementing the cleanest, most flexible version of Scrum available. Learn how Scrum, when applied correctly, can help you adjust rapidly to emerging situations and maximize your organization’s ability to adapt. Understand the evolution of the three significant variations in Product Ownership: Scrum Primer, Scrum Guide, and Scrum Handbook. Identify how Scrum transforms Team roles in Development: Production, Product Ownership, and Scrum Mastering for increased productivity and better teamwork. Analyze the critically different pieces of the Results Backlog, Team Backlog, and Work in Progress. Learn the benefits of the Scrum Process when the Sprint is a Continuous Flow with Sprintly interruptions. Leverage your knowledge of Scrum with groundbreaking insight to make Scrum work better in your reality. 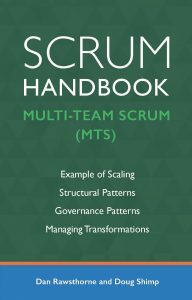 Multi-Team Scrum is based on Single-Team Scrum, or, as we like to say: “MTS requires STS”. What we are doing is Scaling Scrum with Scrum by using the base patterns of STS to achieve large Scrum patterns. With STS and MTS you can use existing scaling patterns in your organization. STS + MTS can be applied to existing scaling frameworks or used standalone. Examples of existing frameworks are Nexus, LeSS, SAFe, [email protected], DAD and many more. For a deeper discussion of existing Scaling Frameworks please read our Analysis: Common Scaling Methods of Decision Ownership. We also invite you to read “Credentialism and the Pursuit of Scaling Certified Gurus”. The trick with any scaling implementation is to avoid paradigm-induced blindness that can overwhelm the organization and impede adaptation. STS + MTS is a model that includes guidance to help you reduce this risk. In the right hands, STS + MTS can help you improve any existing implementation of agile, scrum, agile-scrum, scrum-agile, or whatever else you may call it! Want to learn to apply Scrum to your organization? 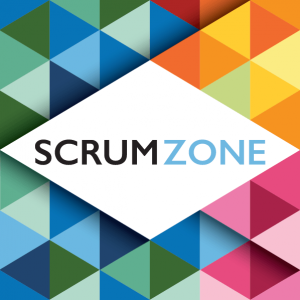 Join us for Scrum Zone conferences.